In the exhibition space, gestures and movements of the spectators are tracked by a camera. 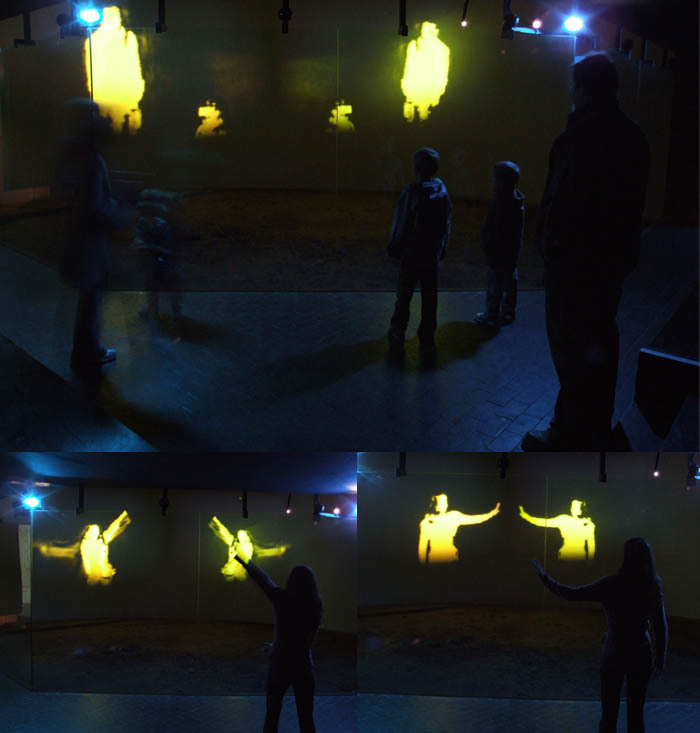 With a digital device, silhouettes are transformed into luminous and sound shapes. The bodies of the spectators become shadows of light by generating their own musical interaction. When moving the spectator draw infinite luminous pictures ans each group of spectators can invent their own scenographic games.